Unfortunately for Warhammer fans, this week’s release of Warhammer 40K: Space Marine will not feature cooperative multiplayer play. Fortunately, it will be here soon enough thanks to the announcement of the first batch of DLC coming for the title. 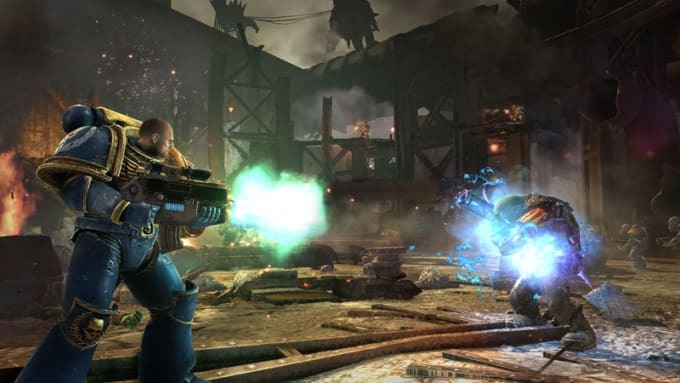 THQ and Relic have announced the first DLC pack for Space Marine entitled Exterminatus. The pack, which will be free to all who own the game, brings a new mode to the title which features two distinct scenarios that allow up to four players to play cooperatively. Players will group up with friends and take on swarm after swarm of orkish enemies. The Exterminatus DLC will be released some time in October 2011.